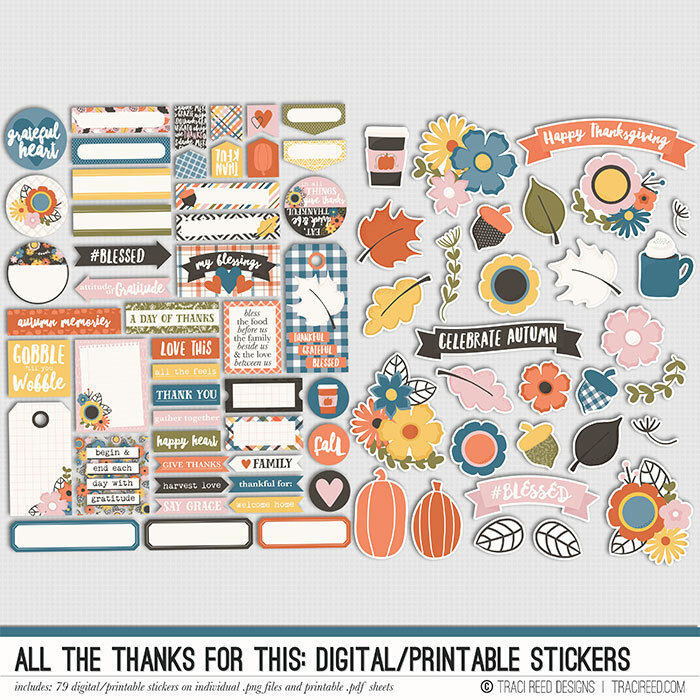 Hey Hey Hey Scrappy Peeps! 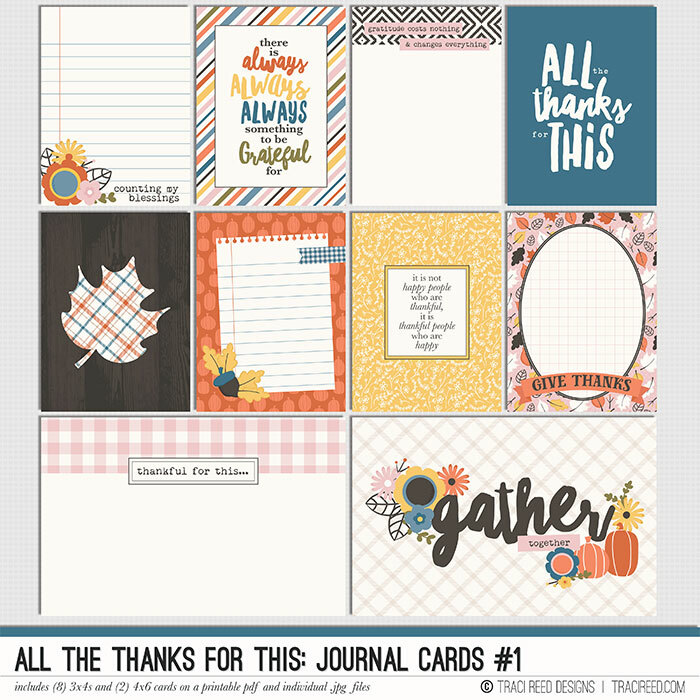 I’ve got a glorious new printable collection for you this weekend called All The Thanks For This and it’s PERFECT for fall, thanksgiving and gratitude journaling! This color palette is one of my faves ever and it’s super versatile as well! If you’d like to see a full unboxing of the collection, here’s the one I have on YouTube! Otherwise, check out the products below and you can click on any of them to go directly to the store! 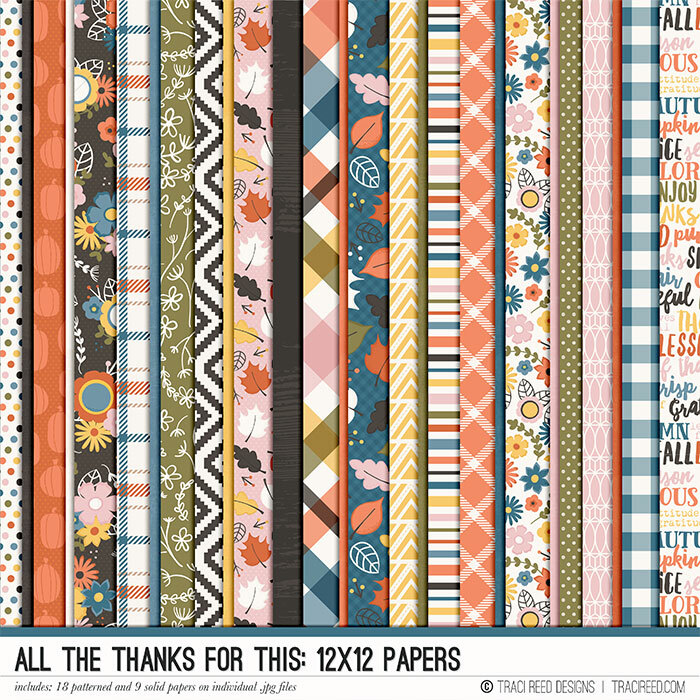 The team has been hard at work creating beautiful digital examples of this collection! 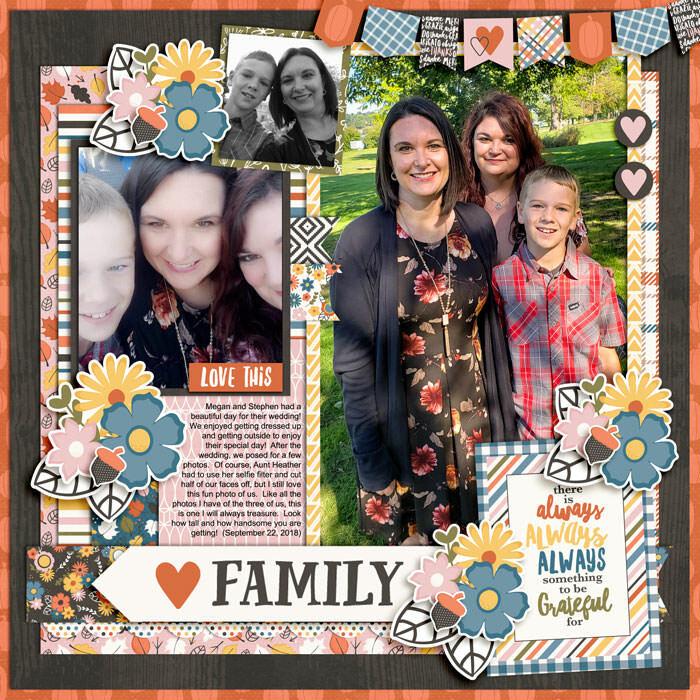 Chrissie created a 12x12 layout! 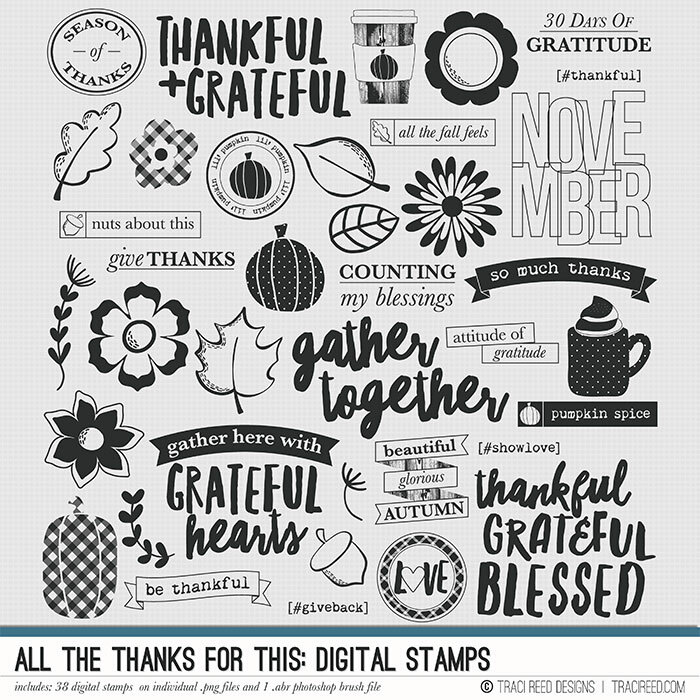 Eveline took advantage of that beautiful woodgrain paper and the digital stamps! Kim went simple and sweet and let that gorgeous photo speak for itself! 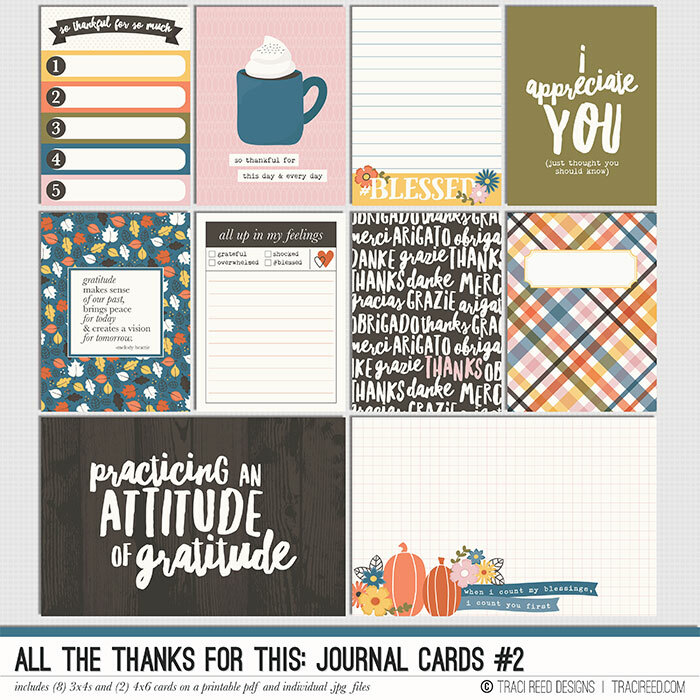 Krista created a beautiful Gratitude pocket page! 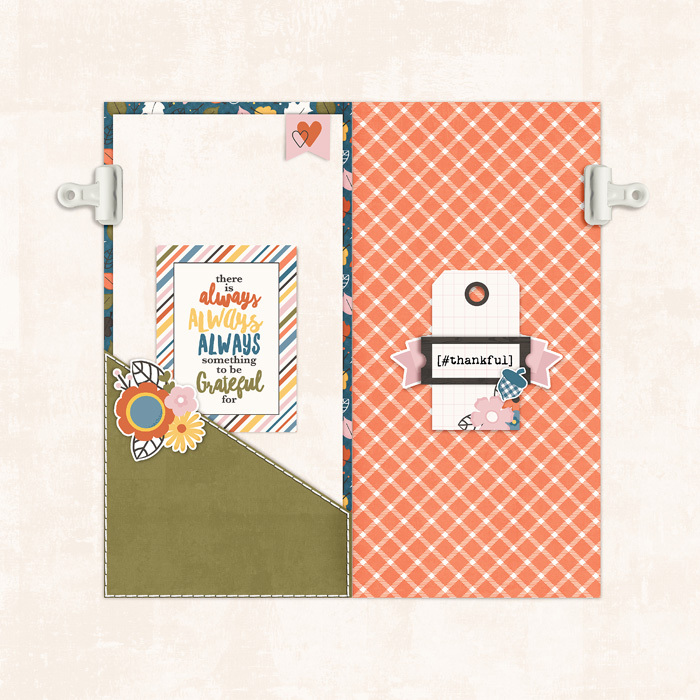 Laura used it to scrapbook about a birthday! 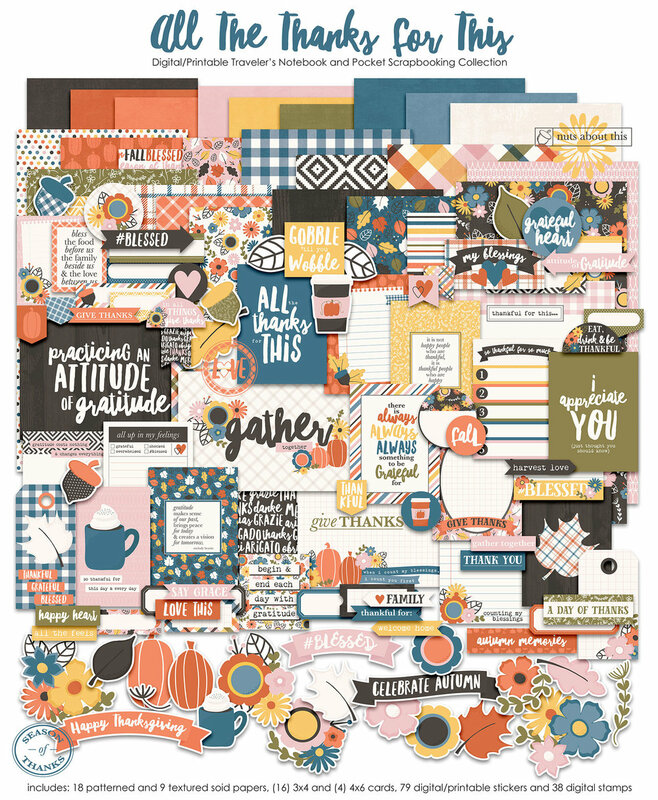 And sherry created a beautiful grid-style layout about the park!